Climb to the top, cool and comfortable. 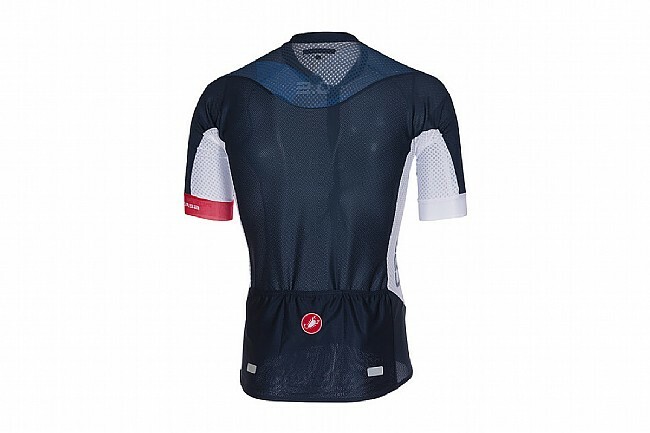 As the temperature rises just like the elevation, keep your cool with the Castelli Men's Climber's 2.0 Jersey. This new version is lighter and more aerodynamic than ever, utilizing a similar patterning that's used in the Aero Race 5.1 but constructed from the lightweight breathable StradaPro 3D Polyester and Flusso 4D mesh for optimal moisture management. 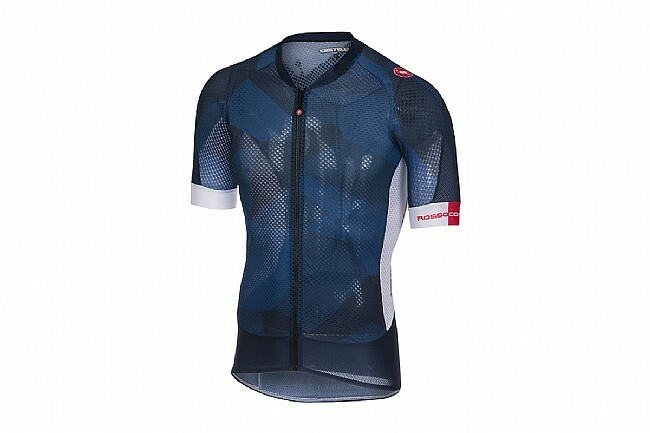 The result is a jersey that's just 2 watts slower than the Aero Race 5.1 jersey while maintaining to be incredibly breathable and lightweight.